My wife Marianne and I moved to Lafayette, Indiana in 1975 and purchased an old Victorian farm house, built around 1870. I was just beginning medical practice in Nephrology (kidney medicine) in a large clinic, and she was continuing studies at Purdue University to become a Veterinarian. The house was structurally sound, but almost every surface inside and out was worn, damaged or faded. That didn’t seem to matter much to Marianne, since the small farm also included an old hip-roof barn, a perfect home for a pony for our young daughter Emily. Also, the house was surrounded by beautiful hardwood and pine trees, providing beauty and shade from the warm Indiana sunshine. gutters in this house were typical of those used in the Victorian era, and were of the “swale” design. These gutters were built by cutting wide “V” shaped depressions into the extended ceiling joists, lining the surface with copper and soldering together each piece of copper. The lower rows of roof shingles were laid over the upper part of the copper sheets. Swale gutters have a very low pitch and even a slight obstruction by leaves or debris will cause most of the rainwater to pass over the edge of the gutter. 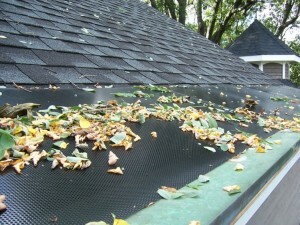 Gutters Needed To Be Cleaned Every Month, and Even More Often in Fall & Spring! With numerous trees around our house we found that the gutters needed to be cleaned every month or even more frequently, especially in the Spring and Fall months. This was quite a challenge since some gutters were over 30 feet above the ground level. After we had some professionals re-side the house and reconstruct all of the elaborate woodwork under the gutters, I decided that we needed some kind of system to protect our gutters from obstruction by leaves and debris. It was then that I began to study gutter protection devices, and found that there are none that will work for swale gutters. There have been a number of products that attempt to protect the function of the newer, under-the-eave gutters by preventing ingress of leaves and debris while allowing rainwater to enter the gutters. These fall into two basic types: screens and solid metal covers. Screens are essentially solid surfaces with perforations or woven wire surfaces which allow water to pass through numerous pores. The screens filter out and stop passage of leaves or debris that are larger than the pore size of the screen (see Figure 1). The problem with screens is this debris eventually enters and blocks the pores of the screens. Water then stops passing through the screen and instead falls over the gutter lip. The screen must then be cleaned. Gutter screens are relatively inexpensive and easy to install on almost any gutter, though they must be cut to size for each type and width of gutter. However some sophisticated gutter screens with very fine openings must be professionally installed and therefore are quite expensive. These screens also need to be cleaned intermittently to preserve function of the gutters, and it is often harder to clean the screens than to clean the gutters. Solid metal covers use the principle of surface tension to direct rainwater into the gutter, and a shape to place leaves and debris in a position to fall outside the gutter. 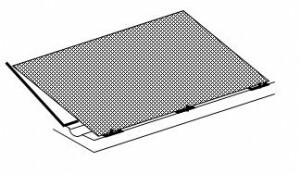 With solid metal covers, a metal plate is inserted under the edge of a row of shingles, and it has a downward slope to a point above the outer lip of the gutter, where it curves back in towards the center of the gutter (see Figure 1). 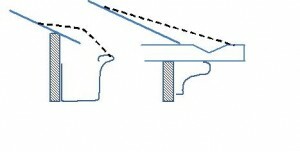 Figure 1: The two basic designs of current gutter protection products for under-the-eave gutters: screens (filters) covering the gutter or solid metal plates that curve over the outer lip of the gutter. Surface tension keeps the water in contact with the plate as it bends above the lip of the gutter and the water then falls into the gutter. Leaves and large debris separate from the water stream and fall downward from the outer edge of the plate. Small debris is attracted more by surface tension than by gravity, which means that this debris follows the water to enter the gutter. If the amount of this debris is very high (as when trees or plants are flowering) the gutter and downspouts can still become clogged. They are then difficult to unclog since the plates are usually firmly attached to the gutter. Solid metal covers generally cannot be placed on existing gutters, but rather come pre-attached to the gutters themselves. In a heavy rainstorm water runs off of the curved edge of the plate to contact the outside of the gutter or fall to the ground since the velocity of the water overcomes the surface tension force. 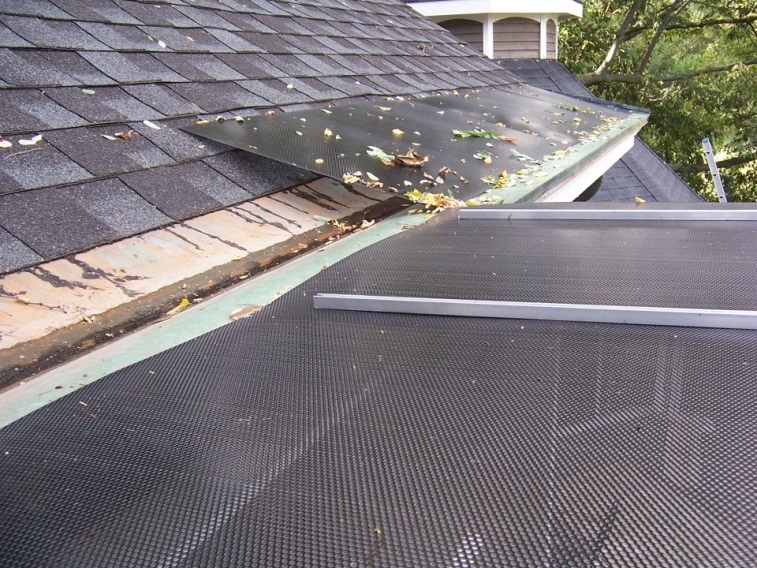 The surface of the metal covers is usually painted in the same light color as the gutters, and therefore over time the metal covers develop stains from the leaves and debris moving over them. The metal covers are expensive and can be bent or damaged when ladders are laid upon the gutters. The limitations of both types of gutter protection are obvious to most homeowners who have installed them. Further, neither of these approaches have been designed to work for swale gutters. Screens placed over swale gutters are very large and flat and quickly clog with debris (as we found out). A curved metal plate placed over the trough of the gutter would deposit debris on the outer lip of the gutter, where the debris would stay in place on the lip. What was needed was a third, novel solution. In one of my biomedical device companies my daughter Emily (a mechanical engineer and later a physician) had tested properties of surface tension in a project to remove small bubbles from biologic fluids. From this study I knew that surface tension of water to a material would always be higher if the material were granular rather than flat and smooth. Therefore I reasoned that if a flat metal plate were placed in contact with a shingle, during rain almost all the water would flow through the line of contact between the shingle and plate and proceed down the shingle surface to enter the gutter. If the plate were perforated with small holes (such as 3/32”), the surface area would be even smaller and the water would even more certainly follow the granular surface of the shingle. Due to surface tension, small holes in the plate would prevent water passage through them if air is underneath, making sure that the perforated plates do not function as screens or filters. At the line of contact with the shingles, water would be present both above and below the plate, and therefore water would flow through those holes nearest to the line of contact. 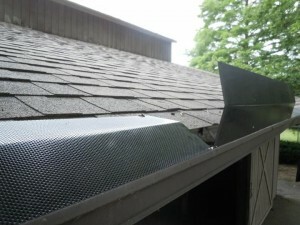 Figure 2: The GutterShed™ concept of gutter protection, with perforated metal plate attached to an under-the-eave gutter (left) and a swale gutter (right). I tested this concept with a simple model of a roof and found that it worked beautifully. At any rate of water flow on the roof shingles, almost all of the water on the roof passed underneath the line of contact between the shingle and the perforated plate and the rest passed a short distance onto the plate and then penetrated the holes to return to the shingle surface (Figure 2). I found that leaves and debris deflected onto the plate where they should dry and blow off with the next light wind. I next decided to install GutterShed™ on the swale gutters of our house to see if they worked. The plates for swale gutters needed to be about 24” wide to provide a downward slope of the surface, so we had 24” by 48” plates of perforated aluminum (from Alcoa) cut into size, and then had the plates powdercoated in black. I cut pieces of aluminum C-channel and fastened them to the underside of the plates using self-tapping screws in order to prevent sagging of the plates. (We no longer use this method.) The C-channel was attached with self-tapping screws as shown in Figure 3. Figure 3: Attachment of C-channels to bottom of GutterShed plate. To attach the plates to the gutter, we wished to find a way to do this without drilling holes into the copper gutters. We therefore decided to fix washers to the plates and then glue the washers to the gutters with nitrile cement. We designed spring clips that could be threaded through holes in the plates and inserted into holes in the washers as shown in Figure 4. Figure 4: Attachment of copper washers to the large GutterShed plate, for placement on a swale gutter using spring clips. Figure 5: GutterShed in place on a swale gutter, with washers glued to the flat copper surface. 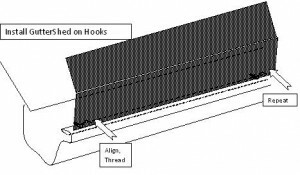 When installed, the GutterShed™ plates on our swale gutters appear as in Figure 6. Leaves washing or falling off the roof move towards the center of the GutterShed™ plate and then dry and blow off of the plate. The GutterSheds™ worked beautifully in preventing leaves and debris from entering the gutter while still allowing all of the rainwater to flow down the gutter. Leaves, tree flowers and other debris did accumulate on top of the plates during rainstorms (as shown in Figure 6), but they were not stuck into the small holes of the plates and they dried and easily blew off the plates with the next light wind. When we opened the plates to inspect the gutters, they were completely free of debris save for some gravel from the asphalt shingles. Water flow through downspouts was forceful even in a modest rain. After placing GutterShed™ plates on the swale gutters of our house, we needed virtually no gutter maintenance for the next several years. 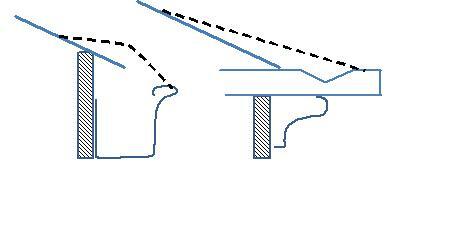 Figure 6: GutterShed installed on swale gutters, in normal position (a) and when opened (b). Most gutters are attached to the roof under the eaves, at the end of the roof slope, where the shingles end. Since the GutterShed™ plates on our swale gutters were so successful, we wondered whether the same concept would work on the under-the-eave gutters which we had on our carriage house and two barns. These gutters also needed frequent cleaning and were frequently blocked with debris. We decided to adapt the GutterShed™ concept to under-the-eave gutters. We devised a much thinner version with plates 8” wide by 48” long, which would extend from the lip of the gutter to lie on top of the shingles, as shown in Figure 2. We placed a crease down the middle of each plate so that the upper edge would lie on the shingles even if the gutter lip was lower than the outer edge of the shingles. We devised a simpler method for attaching the plates to the lip of the gutter, by first fastening spring metal clips called GutterHooks™ to the lip of the gutter as shown in Figures 7a and 7b. The GutterShed™ plates were then threaded directly onto the outward-facing hooks. The GutterShed™ plates could then be opened open to almost vertical, then closed to lie on the roof. Placing GutterShed™ plates on the under-the-eave gutters was easier and much faster than placing them on the swale gutters. More time was spent in moving the ladder than in attaching the plates. Cutting the plates to meet at inside or outside corners of the gutters was easy using tin snips. A typical installation on one of our barns appears as in Figure 8. Figure 8: Installation on barn under-the-eave gutters. The results of placing GutterShed™ plates on our under-the-eave gutters were the same as with our swale gutters. The gutters collected all the rainwater from the roof and prevented all debris from entering the gutters. For the years after installation of all of the GutterShed™ plates, we have never had to clean any gutters and never had to clean the plates. Nature and hydraulics clean them for us! After we realized the success of the GutterShed™ in preventing the need to ever clean gutters or clean gutter screens, we talked about them whenever a neighbor or friend complained about problems with gutters (only then). The builder who installed them first on our house began to recommend them to all types of customers, including home-owners, sororities, and churches. Pretty soon there were about a dozen installations of under-the-eave GutterSheds™ around town and throughout the country. The response was uniformly positive, and after a year of use or so all of the users were pleased that their gutters worked perfectly and that the GutterShed™ product never needed any cleaning or attention of any kind. We were pleased with the user response, but then we had a decision to make. Should we market this product more widely so it could benefit more homeowners, and if so, how should we market it? We decided to go ahead to market the under-the-eave version first, but give homeowners the option of buying the swale gutter version by asking that they contact us directly. Being basically amateurs at commercial marketing, and with limited resources we decided to try three approaches, with modest funding efforts, and see which worked the best. We initiated production of all the parts (using separate companies for perforating and cutting the aluminum sheets, powder coating them and bending them, and for making the clips and punches for the gutter). We then contacted a local hardware store (Von Tobel Lumber) and they agreed to display and sell the under-the-eave product at their store, using a four-foot long roof and gutter model for display (that we constructed). Mostly through word of mouth, sales began fairly briskly through this store, and now the product is available in all stores of this regional company. We setup a website (guttershed.com) so that the product could be ordered directly by consumers or builders, established a Facebook page and listed the product on amazon.com. We also advertised in a journal directed towards builders in the gutter and metal roof business. Although interest has been intense in response to our ads and internet listings, we have seen more sales of the product through hardware stores than all other efforts combined. We determined that this type of new and novel product is much easier to purchase if the buyer can actually see it, feel it, and understand how it works, because the simplicity of installation and effectiveness in practice are so obvious in person. We will do our best to convey that in our new website, launching in mid-May 2018. As mentioned in the introduction, roofs are an essential and basic element of any home. As wonderful as they are at repelling rain, snow, sleet, leaves and debris, water run-off is a problem. A standard solution to this run-off is to install gutters, but the gutters then have their own problems, especially clogging with leaves and debris. 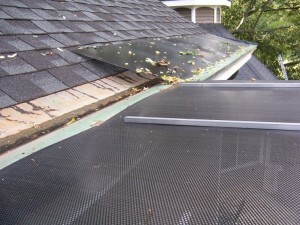 Previous gutter protection approaches have included screens and solid metal plates over the gutters, but these approaches create their own problems. We write this article to demonstrate that there is a third approach to protecting gutters from leaves and debris which operates in a completely different manner, is highly effective and virtually maintenance-free. Perhaps this third approach will help to alleviate some of the frustration and disappointment homeowners have had with previous products. Importantly to those with old homes and swale gutters, this is the first practical and proven system to work with the swale gutters of Victorian homes. Now that we have advanced toward more common gutters, all of our product marketing is geared to helping homeowners find out about this great gutter protection that actually works, without the maintenance or installation hassles. Explore this site to find out how if GutterShed™ gutter covers will work on your own roof, and save you years of maintenance hassles!